Are you looking for an active adventure, a romantic getaway, an African safari or hanging out with friends? We listen to what you want and help you navigate the choices. We can find something for every whim and budget. We can help you find something unique. We know the “don’t miss” recommendations and the “secrets” to a great vacation! Traveling with a group? We can handle that too. Whether you are traveling from different areas or just don’t want to handle someone's else's payments, we can take care of every detail. We love groups! We can often get special “extras” too. Our agents have visited the destinations. We’ve traveled with groups. We’ve taken our families and traveled with our friends. We can create the perfect getaway for you! With HMS Consulting you have an advocate should a problem arise before or during your honeymoon or destination wedding. HMS Consulting can save you time, aggravation, and money! Our experts know the ins and outs of travel. We know the destinations and can make recommendations that suit your lifestyle and personal tastes. Travel is our passion, we create dream vacations every day – let us plan yours. Whether it’s your honeymoon, destination wedding, or you are renewing your vows, HMS Consulting can make it hassle-free and full of fun. Susan Hull, owner of HMS Consulting, has been in the travel industry since 1992. She studied Travel & Tourism at Three Rivers Community College in Norwich CT. In 1998, Susan opened her own travel agency, HMS Consulting. Susan is a Cruise Lines International Elite Cruise Counsellor. She is also a Certified Sandals & Beaches Specialist. She has earned the designation of Aruba Certified Expert and Akamai Hawaii Specialist. She is a graduate of the College of Disney Knowledge. HMS Consulting is an Authorized Disney Vacation Planner agency. HMS Consulting offers personalized travel services. They specialize in honeymoons and destination weddings, as well as groups of all sizes. 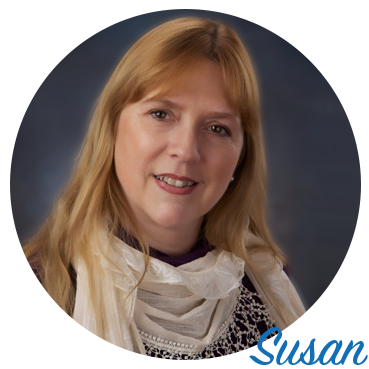 Susan personally escorts groups as do some of the other agents.